This year CALICO has blocked rooms at the Illini Union Hotel on campus as well as dorm rooms and the Hyatt Place. You are also welcome to find your own lodging in Champaign. You are responsible for your own transportation to and from the campus if you do choose an outlying hotel. $104 Full Size, $109 King or Queen, $184 Suite, single/double occupancy, plus applicable taxes. Room rates are valid through and including April 28, 2018. After April 28, 2018 rooms and rates are subject to availability. Early reservations are recommended as rooms, or certain types of rooms, may sell out prior to April 28, 2018. 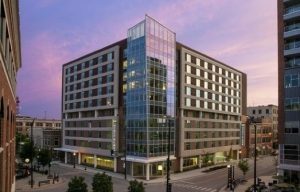 Hyatt Place Champaign/Urbana is the official CALICO co-headquarters hotel. 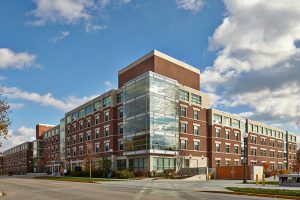 It is located in the heart of downtown Champaign, within steps of over 35 dining options, and approximately 1.5 miles from campus. Room amenities include 42″ Flatscreen Swivel TV, state-of-the-art media and work centers, and Cozy Corner with sofa or sofa-sleeper. Additionally, the facility has an indoor pool, 24-hour fitness center, 24/7 Gallery Market and Coffee to Cocktails Bar. Complimentary Wi-Fi, complimentary parking and complimentary breakfast are provided. A free shuttle is available to hotel guests, based on availability, between 7AM and 11PM daily for locations within 5 miles of the hotel. $139 single/double occupancy, plus applicable taxes. 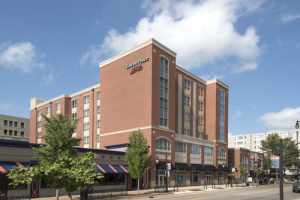 There are many hotels in the Urbana-Champaign area, so it is worth digging for deals on your own, but if you want to stay in the restaurant area in downtown Champaign this would be a good choice. If you look for other hotels or housing options (e.g. Airbnb), either use Google Maps or the CUMTD site to find out how easy it would be to get to campus from that location by bus. Green Street is immediately adjacent to the Illini Union Hotel, and the restaurants on that street begin less than a block away from that hotel. Along Green Street you’ll find about 50 restaurants, coffee shops, and pubs within walking distance. Zoom in a bit on this Google Map and then keep looking to the left to see the restaurants along Green.